Composer Du Yun rocketed to national fame last year when she won the Pulitzer Prize for Music for her opera, “Angel’s Bone.” Combining traditional classical techniques with cabaret, rock, and non-operatic voices, the opera presented new musical possibilities for the art form; as a parable for human trafficking, it traversed new social and philosophical territory. But for Du Yun, who has claimed that “if you buy into other people’s ideas of genre, you’re going to die – you’re going to not be able to do anything,” this open approach to composing – her tendency to treat musical forms as fertile ground for whatever may be stirring her curiosities at the time – is par for the course. Du Yun performs with her band OK Miss. After all, Du Yun is herself no stranger to restrictive ideas. As a young music student at the Shanghai Conservatory of Music, she remembers “being told repeatedly, again and again, ‘Oh, composition is not for you. Composition is too difficult, too challenging. As a woman, you should not be doing composition.’” Still, she persevered, eventually winning over a visa agency for permission to come to the United States to study music at Oberlin Conservatory. With her audience, Du Yun was light and unpretentious, explaining, “I don’t really know what ‘Pan-Asia’ means either. I think that’s why we’re here, to figure out and explore together.” Later, she explained what the term meant to her. Wanting to rebel against “tourist culture,” wherein a collective of Asian artists would perform for a non-Asian audience, she instead wanted to “open up this topic of who owns Asian culture” – a question that audiences were meant to engage in, rather than passively observe. Thus, not every show within the festival had to deal with content about Asia; not every artist had to be of Asian descent. 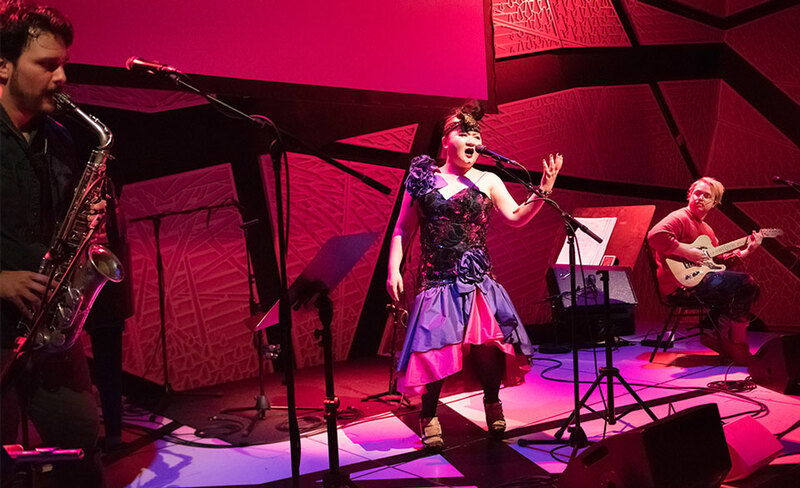 Du Yun’s own band, OK Miss, was just there to perform Du Yun’s music, whether it engaged with traditional forms – as in the punk reinvention of a Mongolian folk song whose title Du Yun Google-translated to “Dating in a Mongolian Yurt” – or not. What was important to Du Yun was that each artist present new material. 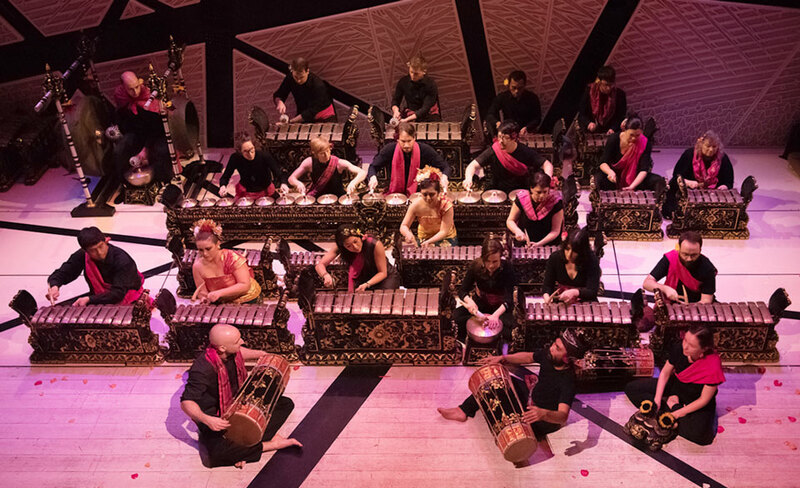 The New York City-based Balinese gamelan ensemble Gamelan Dharma Swara performed commissions by living composers alongside centuries-old standards. Filmmaker Zhou Hongbo screened his documentary “Lotus Ferry” as part of a program that also included samples of his filmography from the years 2000 to 2015. A concert of electroacoustic music brought together compositions by Ji Dongyong, Chen Qiangbin and Li Lei.